Zalando hopes to eventually take 5 percent of the fragmented European fashion market, up from about 1 percent now, and is investing in technology to increase customer satisfaction and speed up delivery. It is allowing brands such as Adidas (ADSGn.DE) and Superdry to sell directly on its website and said on Thursday it had bought Tradebyte Software GmbH this month to help digitize the stock in the warehouses of its partners. Consistent and standardised exchange formats and transmission paths – supported end-to-end by Tradebyte – enable a fully-automatic and always synchronous data flow. Highly-scalable SaaS solutions building on the modern ecosystem, provide the necessary functions out-of-the-box. 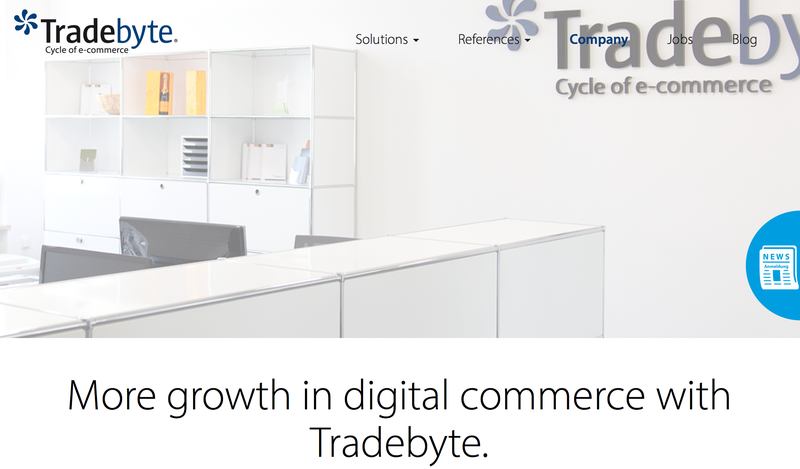 The Tradebyte ecosystem overcomes barriers and saves resources with a short time-to-market. „Part of this scheme includes a pilot, which Zalando started with sportswear company adidas, which connects the brands‘ warehouses through software system Anatwine and offers customers access to a wider adidas assortment. Zalando recently took a 20% stake(German) in UK based Anatwine as well. Zalando’s mobile strategy is also very much tied to markeplaces with its current main new apps: Fleek is a marketplace with new discovery mechanisms and Movmnt is a marketplace for outlets.